This is such a wonderful mini handbag with a floral motif or every woman. It is elegant and looks beautiful. The Flower Coin Purse Free Crochet Pattern is made in a bright color. It fits every styling and outfit. You can try to this pattern in any of your favorite colors. They make fantastic gifts for family and friends and great little stocking fillers if you’re thinking ahead. Thanks Pierrot Yarns and Craft Passion for sharing the wonderful free crochet patterns.The links for the free patterns are provided below photos. Happy crocheting. P.S. you can buy cute Purse Frame from Amazon. 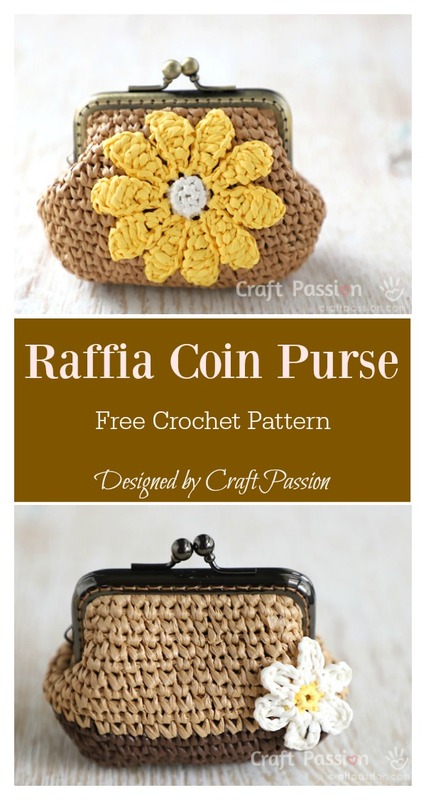 You might also like How to Crochet Mini Suitcase Coin Purse.